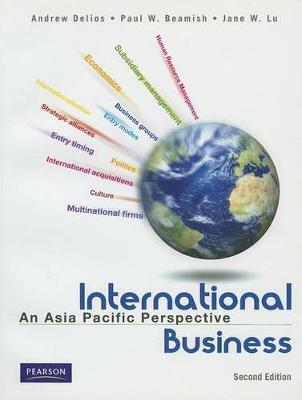 International Business: An Asia Pacific Perspective (Second Edition) provides a unique exploration of the topic of international business. It examines decisions relevant to managers in internationalizing and multinational firms operating in the Asia Pacific region. Its uniqueness stems from the cutting-edge conceptual material that underlies the decision-making frameworks in the text and in the numerous Asian company examples and illustrations. Users of this text examine such essential topics as the measurement and analysis of the cultural, political and economic dimensions of the international environment; the formation of internationalization strategies, including entry mode choice and strategic alliances; the analysis of the competitive implications of multinational firms and business groups; multinational, subsidiary and expatriate management; and the management of ethical issues.